Gaaaaahhh! I feel like all I've been talking and writing and talking and writing about is our home search lately, so I will change it up a bit today. Although, I will tell you we are waiting to hear back on an offer we put it last night. Enough of that! Last night, Luke and I picked up the keys to our temporary flat which happens to be about as nice as the home we are hoping to get. 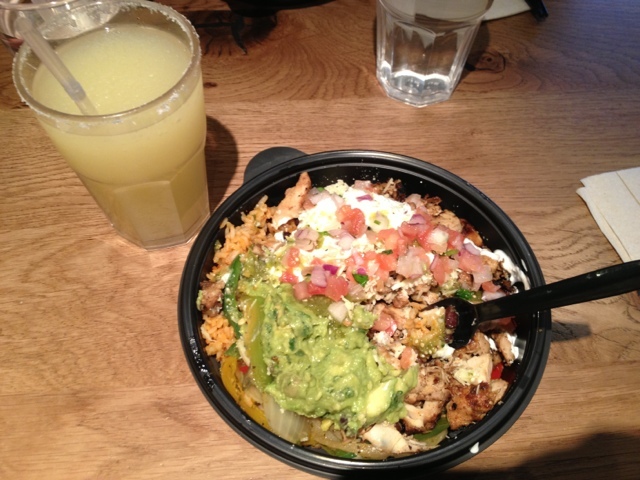 Afterward, we went for dinner and decided to try out Tortilla Mexican Grill. We were thinking it would be like a Mexican restaurant, makes sense right? Well, it's actually like a Freebirds, Izzo's, and Chipotle (which happens to be just a bit down the road). It was decent but in no way does it compare to Freebirds (my fave) and Izzo's (Luke's fave). So I guess, I'd say its comparable to Chipotle (neither of our faves). 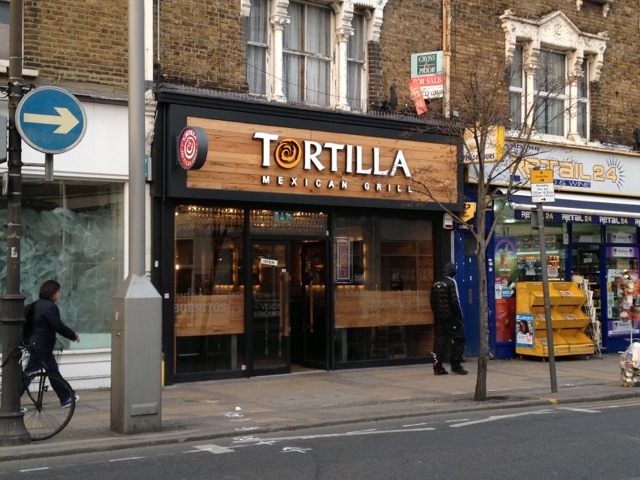 It will have to do though until we can save enough money to open a real Mexican burrito shop! It would KILL! In the UK, cilantro is called coriander. It's better than no Mexican at all. I'm jealous. I'm still green with envy over your Manchester Taco Bell meal. Luke and I ate at Las Iguanas in Kingston, and we both liked it. It's no Pappasitos, but it is probably the closest we've gotten so far. You liked the food in Aberdeen just not the service, right?